Discussion in 'General Discussion' started by MercyL, Aug 21, 2013. I was going through some very old game cartridges and found Myst sitting at the bottom of the pile. This game did nothing but irritate me, but I like role play games with lots of action, where you to build up points and buy cool things. Myst was not a game I would normally play, but there was no real information on the package and I bought it before the reviews came out. If there had been more information available, I would have left the game at the store. Did you ever play Myst? It is extremely quiet and you do nothing but pick through clues and solve problems. I got all the way through it, once, but I cannot remember how the game ended. That Myst game is sitting at the bottom of the storage container because the local Buy Back Games store wouldn't buy it, but that was years ago. Anyway, are there any older games that you simply hated? If you are not "that old", what was the last game that left you ready to throw your monitor through a window? Ever played this crap on the PS1? Yes, it's Twisted Metal. Twisted Metal 3 to be exact. It was a game that really gave me a headache every time I played the game. The cars flipped over every two seconds or so. The levels looked very uninspired. And the action was hard to follow. I regret ever getting that game during high school. I completely understand your disgust! A few months after Myst was released and everyone discovered how frustrating the game was, someone created a knock off called "Pyst". I did not purchase it but quietly applauded the programmers creativity in sharing his opinion. 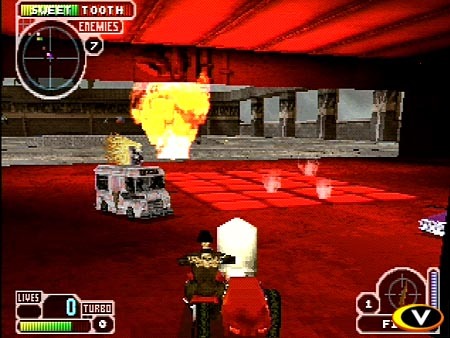 It sounds like someone should make a "Wasted Metal" game, based on the Twisted Metal nightmare you have described! I can't forget how bad Duke Nukem: Forever was. That game was really horrible. How did 2K launched something like that? Pyst! Lol. That's a nice name for a game. Well, I think they would have made a Wasted Metal game if Sony was not able to revive the series to its former glory. In fairness to them, they redeemed themselves on the PS2 and the PS3. Quite honestly I can usually spot a bad video game before it is released. 99% of the time any video game based on a movie or tv show are instant flops. failure. The price alone should be a warning, no self respecting game developers would launch a title at such a low price.